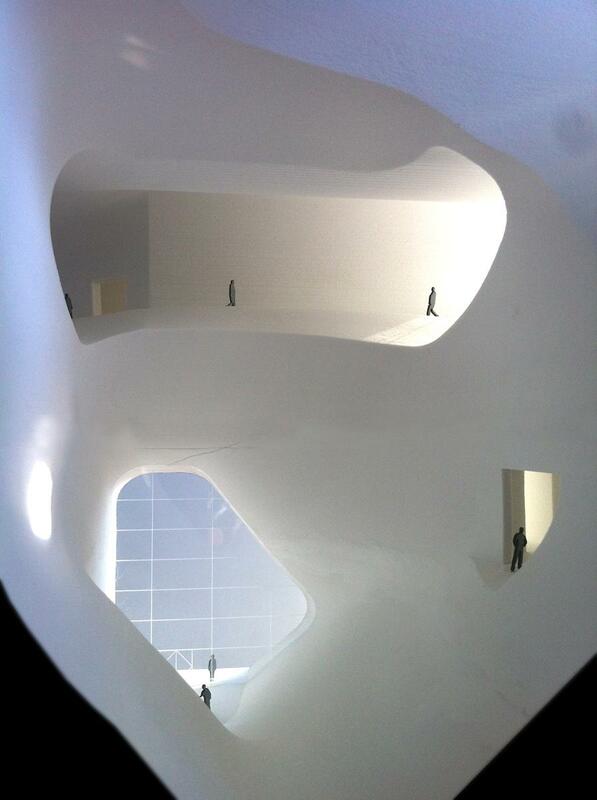 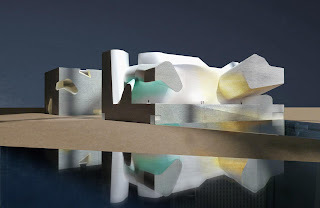 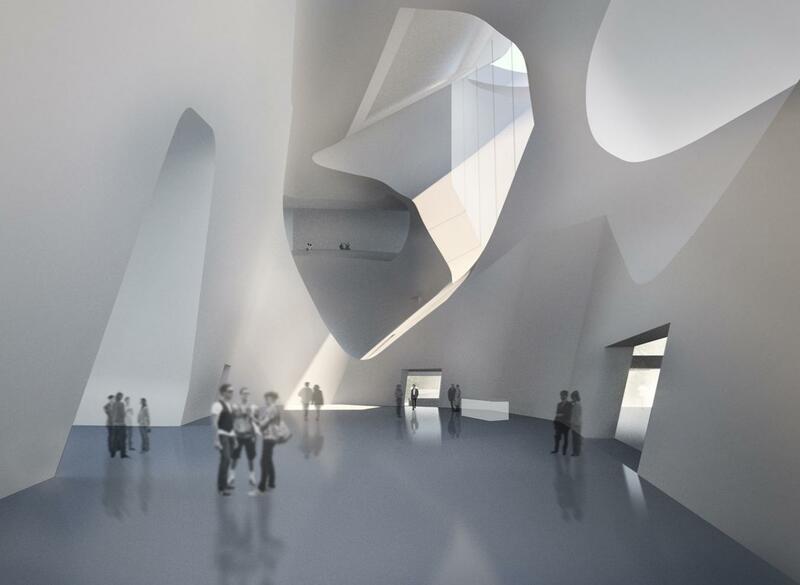 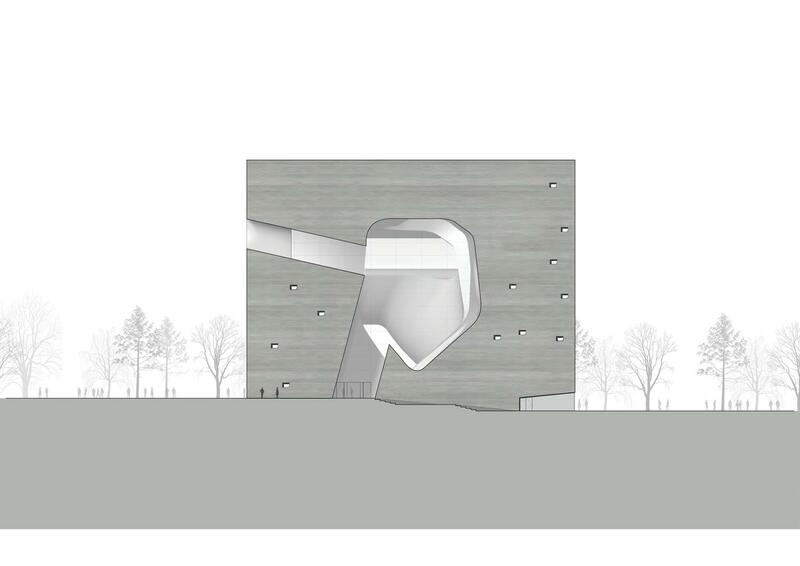 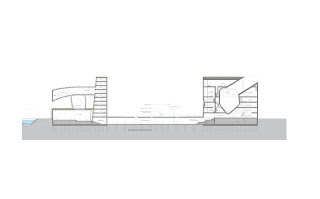 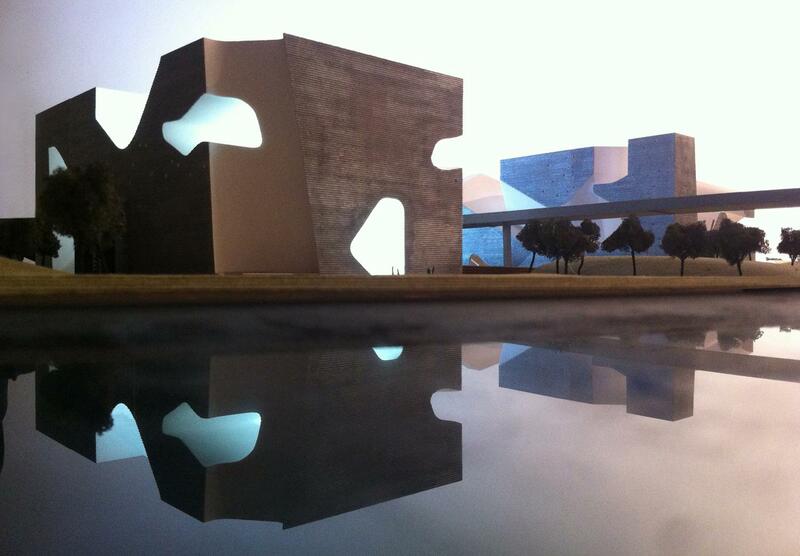 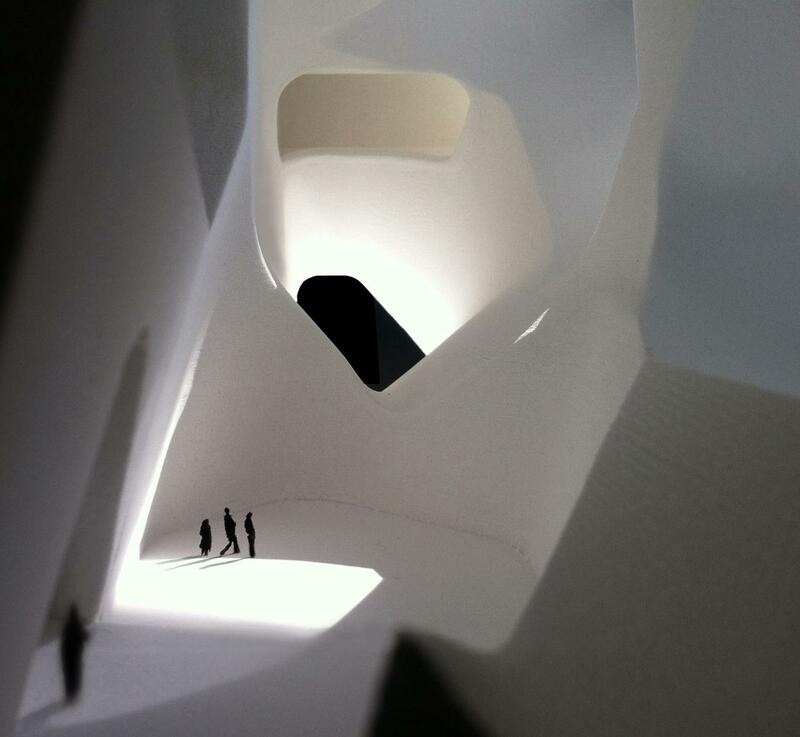 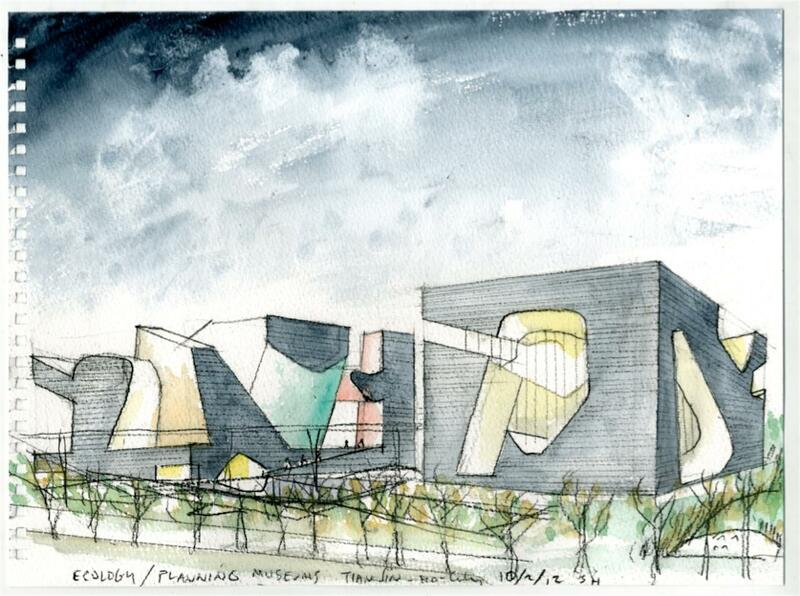 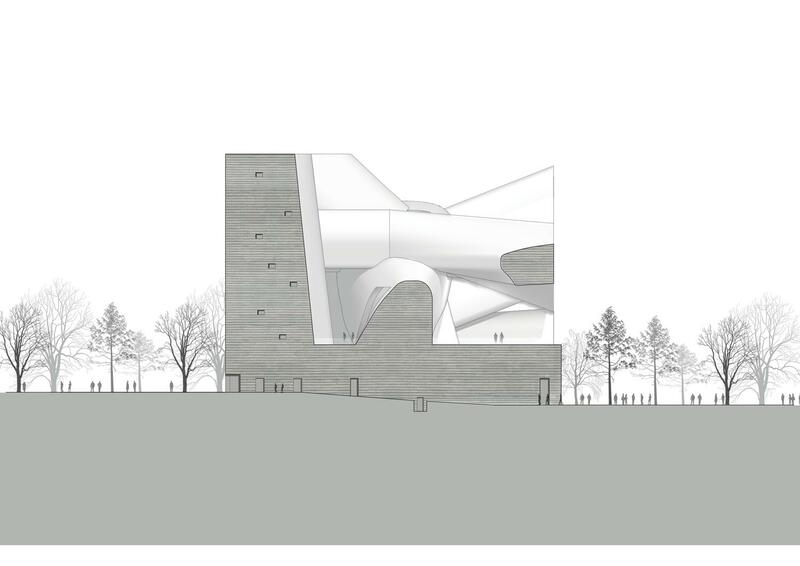 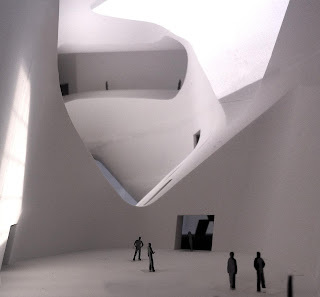 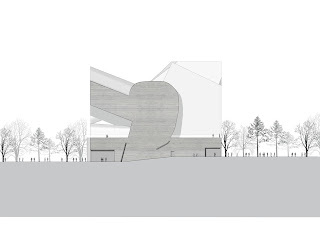 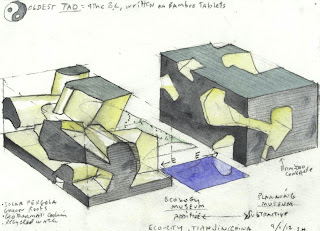 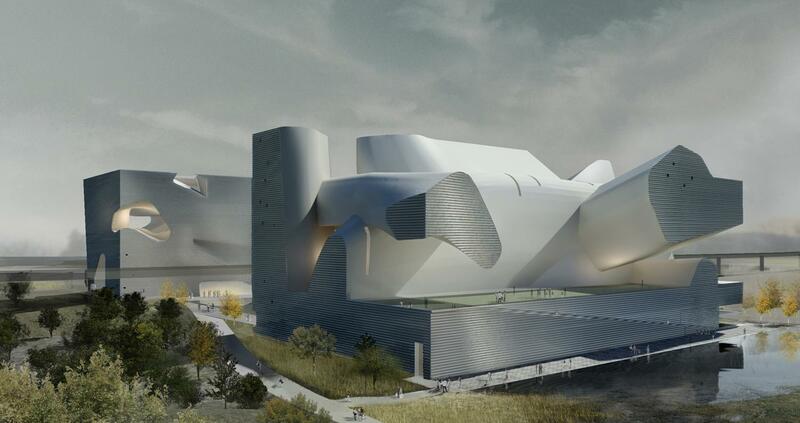 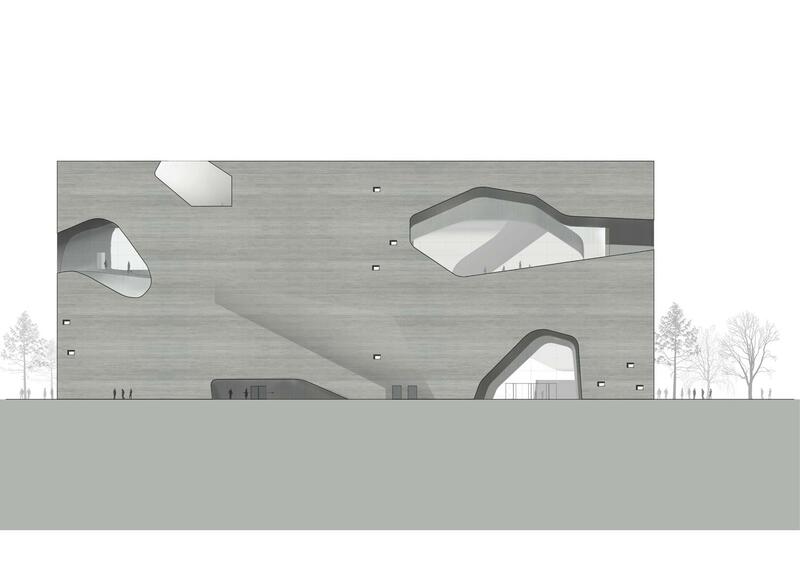 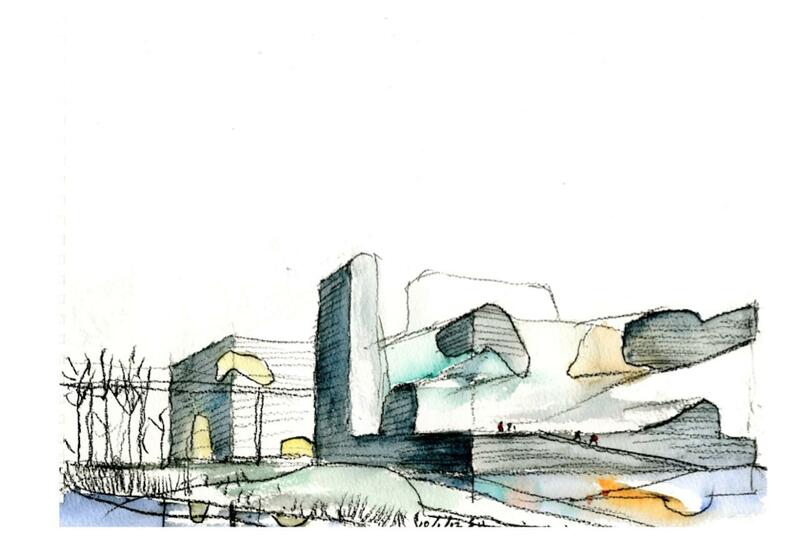 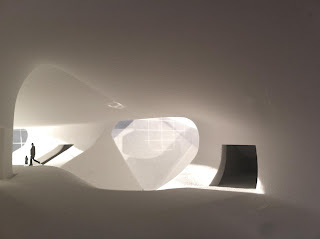 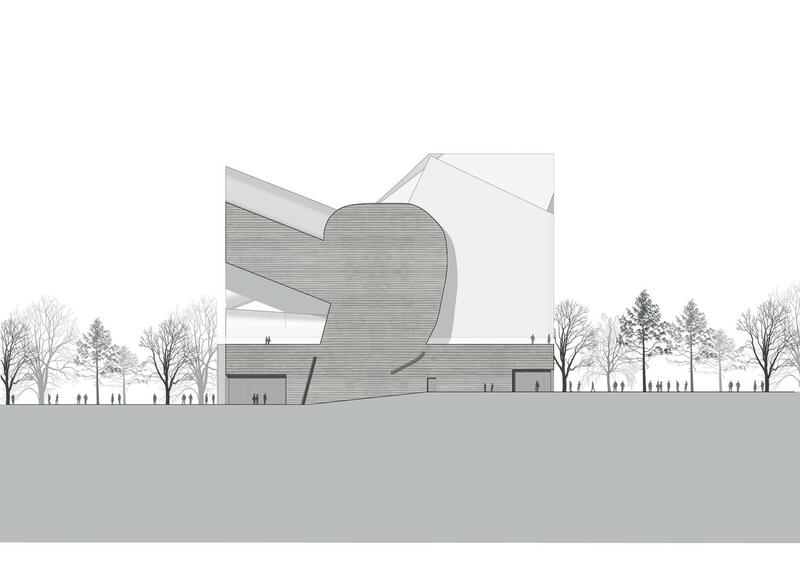 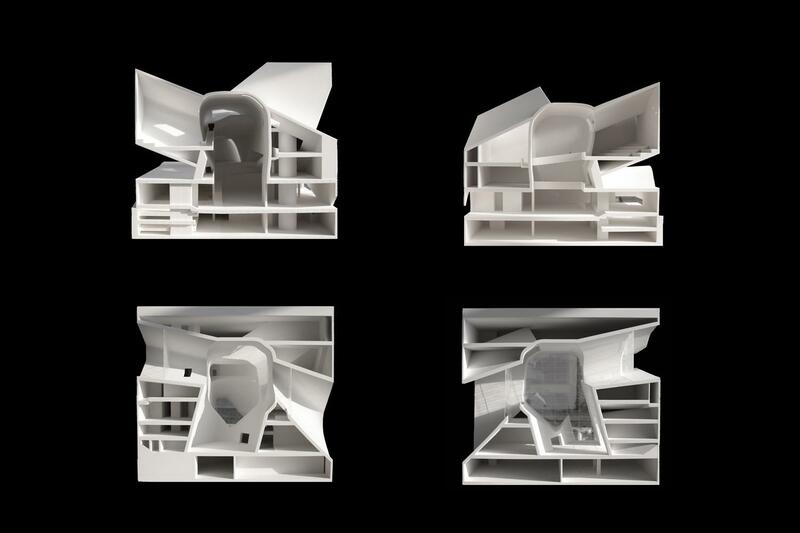 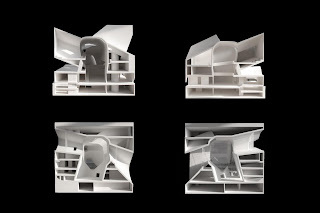 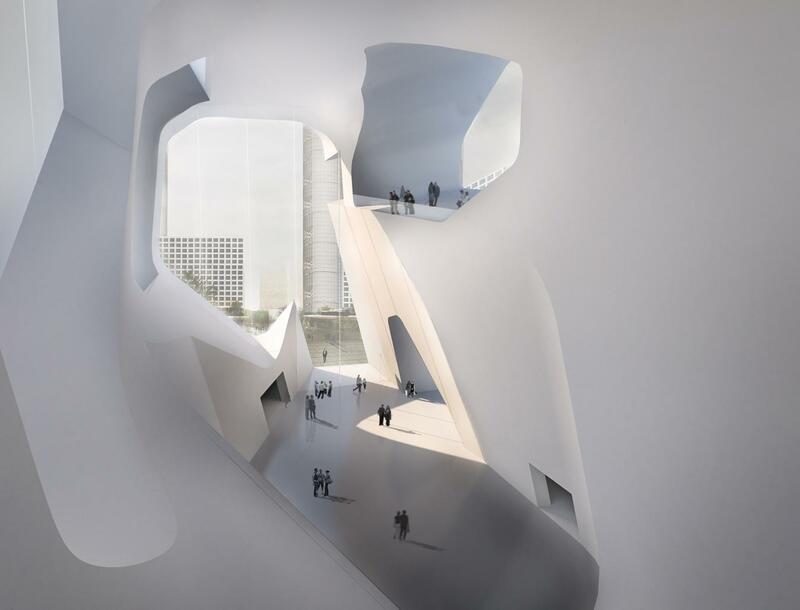 Steven Holl Architects has been commissioned to design the Ecology Museum and Planning museum in a new city being constructed near Tianjin, China. 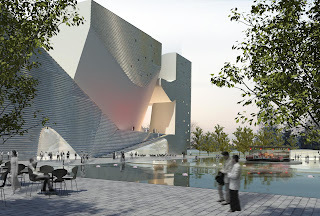 The new Eco City is a cooperation between the government of Singapore and China. Currently 30 percent constructed, the city will be home to an estimated population of 500,000 when complete. Both museums will be 20,000 m2 with a service zone connecting them below grade, bringing the total construction to 60,000 m2. 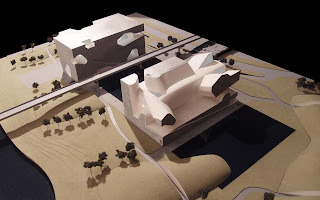 A high speed tram running between these two museums connects to the the central business district of Eco-City. 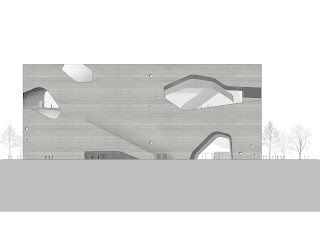 The Ecology Museum experience begins with an orientation projection space next to a restaurant and retail opening to the ground level. From there, visitors take the elevator to the highest exhibition floor. 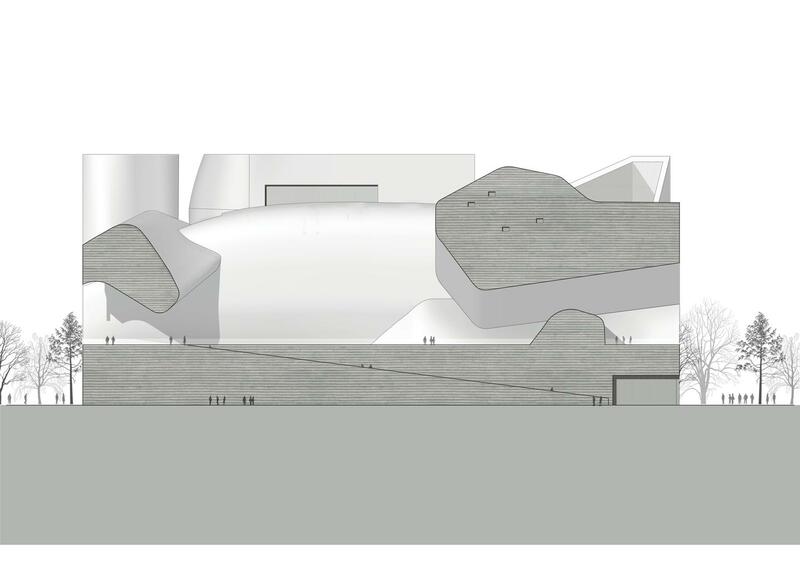 Visitors proceed through the three ecologies in a descending procession of ramps: Earth to Cosmos, Earth to Man, Earth to Earth. 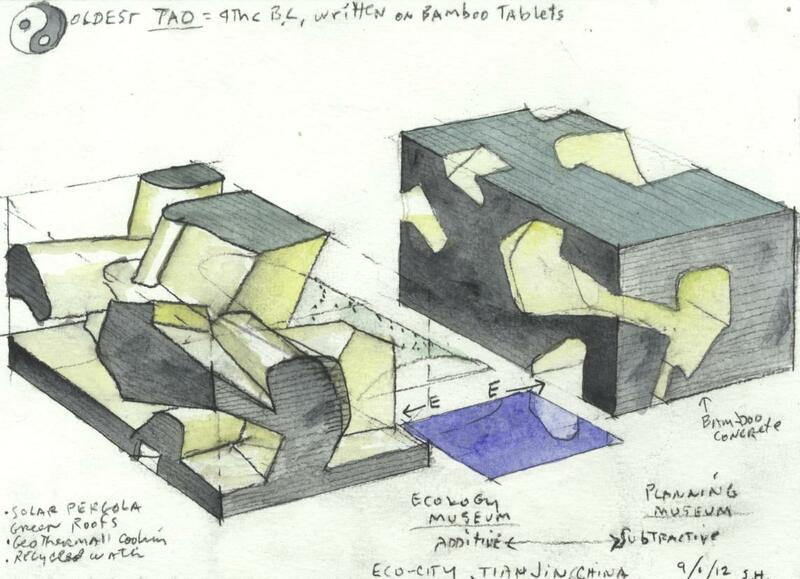 At the ground floor, the Earth to Earth Exhibition turns clockwise, moving down towards the Ocean Ecology Exhibition located under the reflecting pond of the plaza. 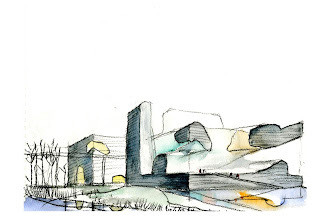 Four outdoor green roof terraces open out from Level 2 (Earth to Earth) with living exhibits changing with the seasons. 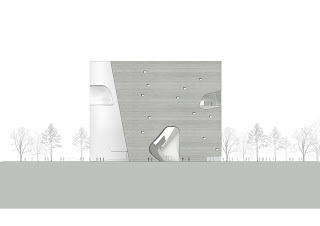 The Planning Museum, entered directly from the shared public plaza defined by the two buildings, opens to an introduction area and a temporary exhibition area. 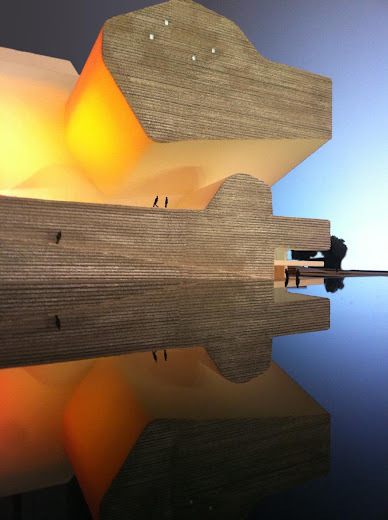 A large Urban Model Exhibition (all of the Eco-City) is followed by a theory and practice zone. 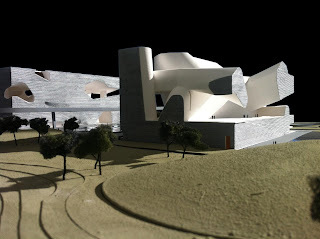 Digital projections will facilitate the potential to update and increase information. Transportation and industry exhibits follow on Level 2 with escalators loading to an interactive section and 3D Cinema on Level 3. 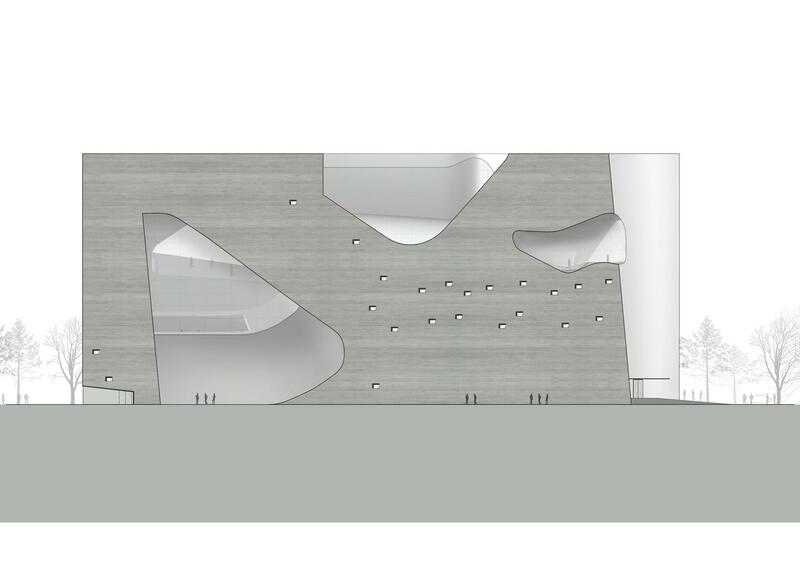 On Level 3, there is a restaurant with views out to the sea. Escalators lead to Level 5 with Green Architecture, landscape and water resources exhibitions. 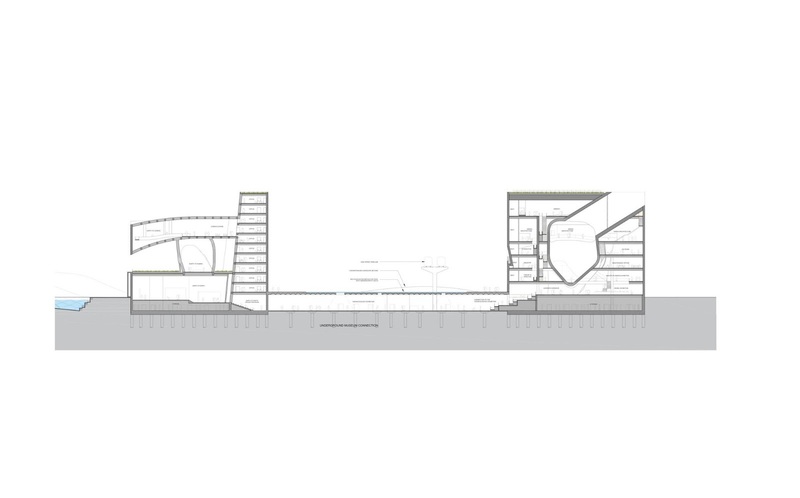 This skylit large open top level has access to the green roofscape. The Bohai Sea site nearby has an ancient history as part of the Great Ridges of Chenier, which developed over thousands of years. 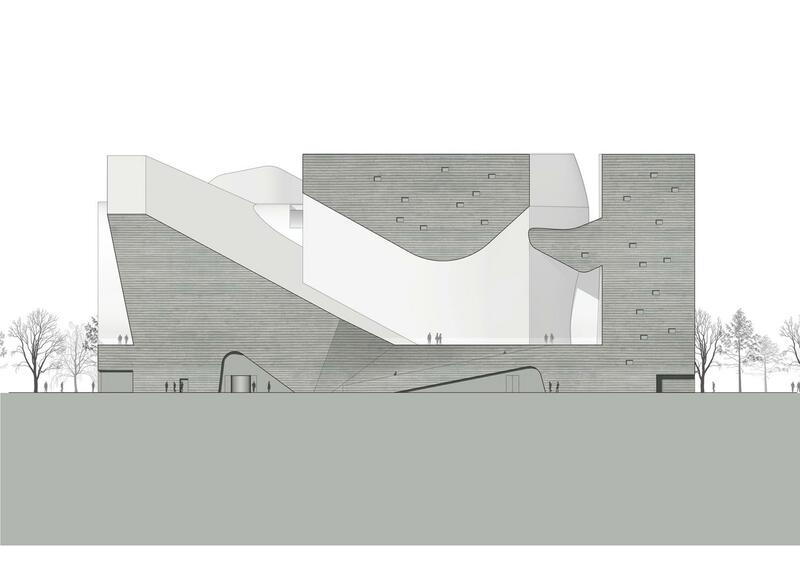 The huge mounds of shells, a magnificent testimony to the power of nature, inspire the sliced edges of the mounds defining the public space around the new Ecology and Planning Museums.